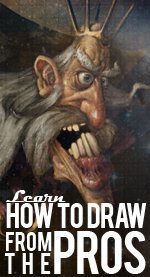 Why Use a Drawing Drafting Table? A drawing drafting table is something that no serious artist should be without. This sort of a table allows you room for all of your supplies, as well as good light and a comfortable position in which to work. In the past, it's always been a struggle to stretch across a standard table or desk to reach the top of the page on which you're working, but you can avoid this problem all together. With a drawing or drafting art table, the work area can be tilted to a comfortable angle, bringing the back part of the table within reach so that you don't have to throw your back out to get to it. You also have a large work area - much larger than a standard writing deskand several places to store your tools. While you are working your drawing tools can be held in place at the bottom of your drawing board where a protective bar blocks them from falling. Some drawing drafting tables also have a handy side organizer where you can store even more tools. A drawing or drafting table also has advantages over a traditional easel. Rather than having to stand or sit on a stool to reach to the drawing surface, the height of most tables is adjustable so that you can opt to sit in a standard sized chair to accomplish your work. Also, with a flat or slightly angled surface, you are less likely to experience any glare from your lighting, and the table will be much more stable on its four legs than an easel's three legs. You never have to worry about a drawing drafting table tipping over. As mentioned above the lighting on these tables is superb. Instead of having to burn several hot, expensive overhead lights, or purchase a tall lamp to illuminate an easel, most drawing and drafting art tables either come with their own overhead lamp or have an attachment area where you can add one. This will make sure you are able to maintain a clear image of your artwork at all times. This light is one of the things that I like best about using a drawing drafting table. A drawing table can really put you in control of your own workspace. You can determine your angle of attack, with anything from a flat surface to a generous slope, and you can decide how high you wish the work surface to be. You can either sit or stand, opting for a low chair or a high stool, and you can set up your lamp to shine in the exact spot you desire without ever leaving your seat. This kind of comfort in an environment that is supposed to stimulate creativity is priceless.